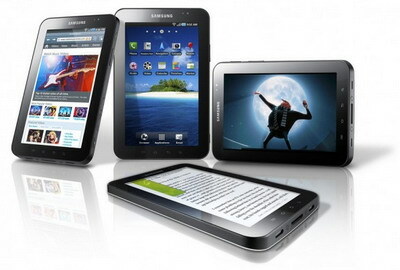 Samsung and DivX have announced at the IFA trade show that the GALAXY Tab is the world's first DivX Certified tablet. The Android-powered GALAXY Tab will now power DivX HD video playback at home or on the go. Available to consumers first in Europe late September 2010 and soon after in the United States and Asia, the GALAXY Tab has a large 7-inch TFT display, which delivers an unrivaled screen quality for a better viewing experience. Weighing in at only .84 pounds (380g), it includes 16 GB or 32GB of internal storage and 32 GB MicroSD expansion. The GALAXY Tab features a TouchWIZ user interface, WiFi, GPS, rear and front facing cameras and also acts as a mobile phone. 0 comments on "7-inch Samsung GALAXY Tab is World’s First DivX Certified Tablet"